My family gets a little excited when I tell them we’re having any kind of seafood tacos for dinner. 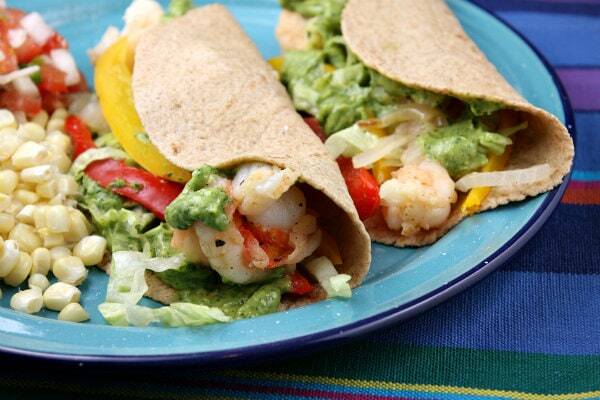 Fish tacos and shrimp tacos are a pretty big deal around here. Everyone loves them. Fish Taco Tuesday ($1 deals) are pretty common at some of the fish taco eateries around town. But we like to make them homemade. 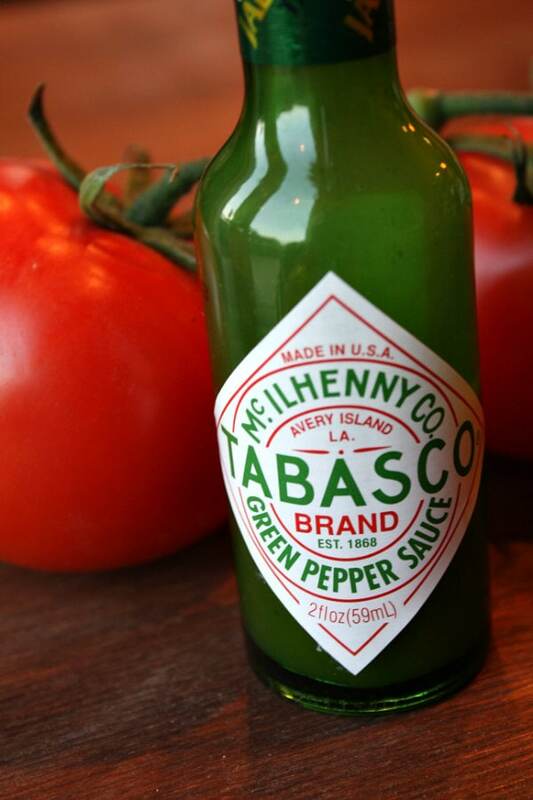 I discovered this Green Pepper Tabasco Sauce on my recent trip to Avery Island, LA when I taste-tested every variety of Tabasco Sauce under the sun. I had never had this one, so I didn’t really know what to expect. It has some spice to it, but it is MUCH milder than their classic sauce. It’s definitely one of my favorites now- finding it’s place in eggs, salad dressings, dips and- of course- all kinds of Mexican food. 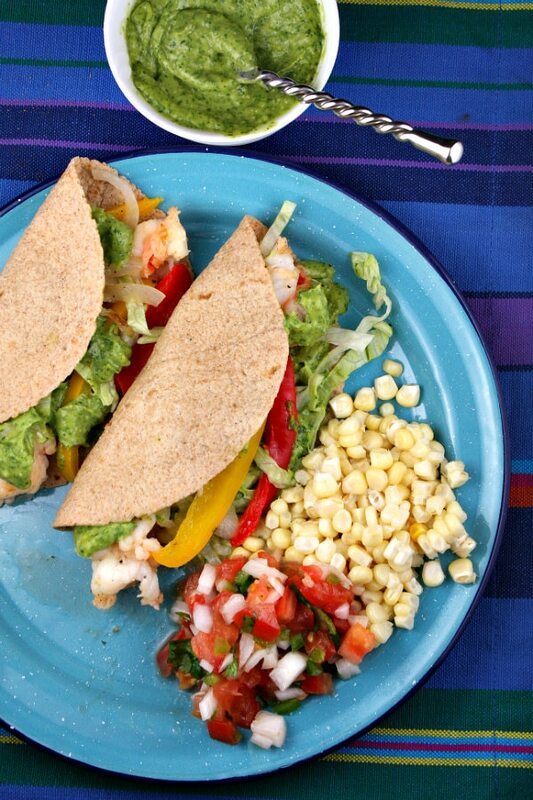 Your typical fish taco usually includes a yogurt-based sauce. This is no yogurt sauce! Instead, it’s a blend of cilantro, green Tabasco, garlic, spices, a tiny bit of honey and avocado to create a chimichurri-like sauce. It’s all these tacos need to make them delicious. And I pinky-swear that this sauce is not super spicy. If my 10 year old ate it without blinking, it’s definitely NOT spicy! 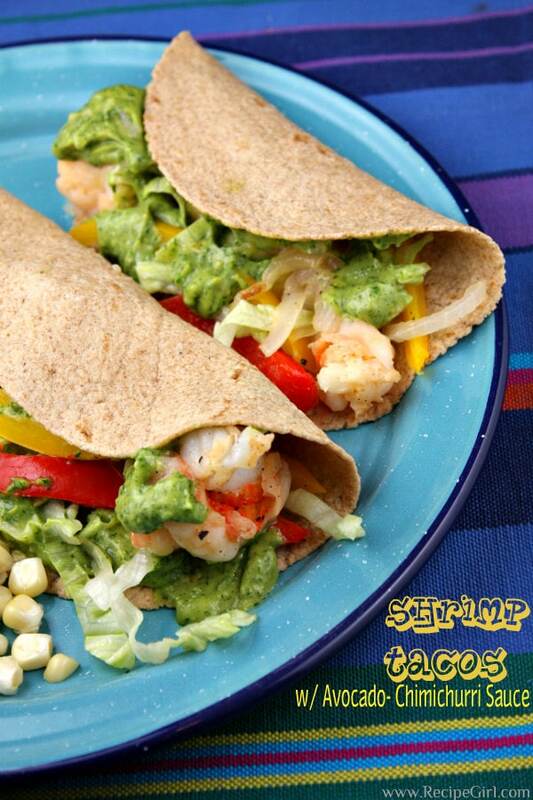 In many varieties of shrimp tacos, the shrimp is dipped in beer-batter and deep fried. I opted to cook these in a skillet instead with some bell peppers and onions. Fresh and easy. 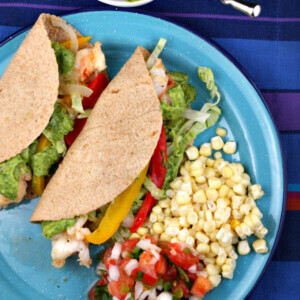 Served alongside a simple garnish of fresh salsa and corn cut straight from the cob, these fish tacos were a big-time hit. We drizzled plenty of that avocado chimichurri sauce in the tacos and added a little bit of lettuce too. They really didn’t need anything else! 1. 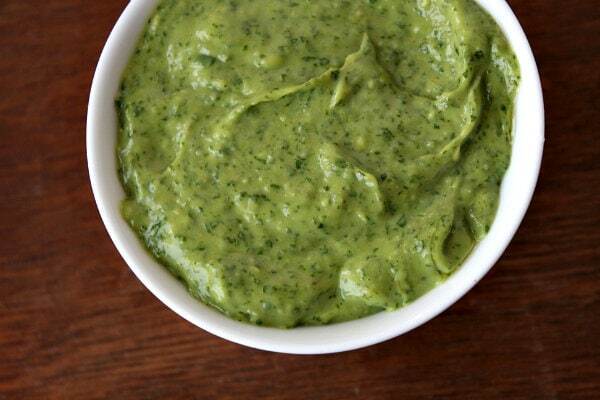 Prepare the sauce: Combine all of the sauce ingredients in a food processor or blender. Process until smooth. Scrape the sauce into a small bowl and set aside until ready to serve. 2. Prepare the tacos: Heat the olive oil in a large skillet over medium-high heat. 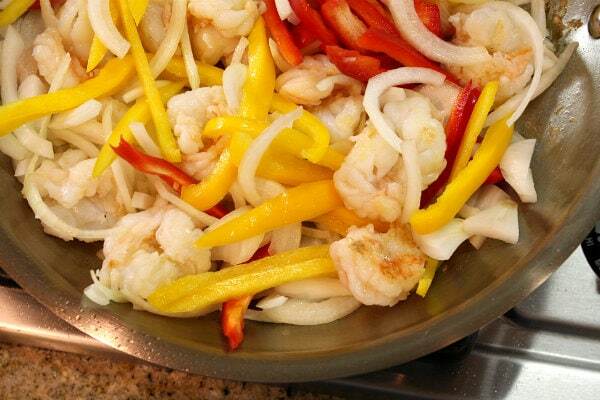 Add the garlic, bell peppers and onion, and stir fry until slightly softened, 3 to 4 minutes. Add the shrimp, and continue to stir fry until the shrimp are pink and curled up (cooked through), 4 to 5 additional minutes. Sprinkle in salt and pepper, to taste. Remove the skillet from heat. 3. Assemble the tacos: Fill each tortilla with shrimp, peppers and onions + 1/4 cup lettuce + a generous spoonful of the chimichurri sauce. *If you are preparing this recipe as gluten-free, just be sure to use a brand of corn tortillas that are known to be GF. *Disclosure: I was compensated by Tabasco to create a recipe using one of their fabulous sauces. All opinions shared are my own.